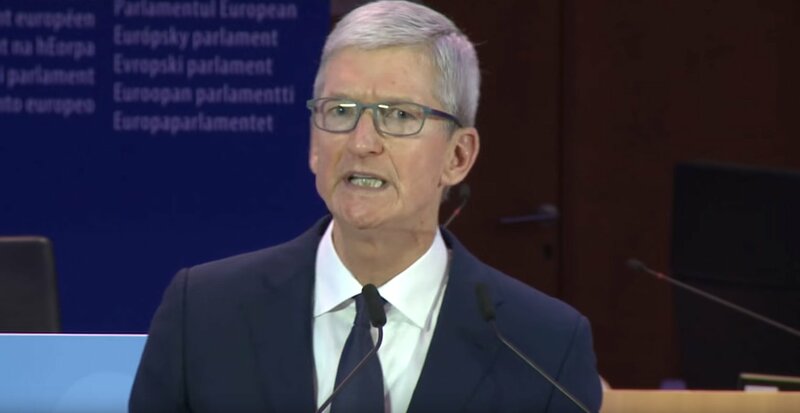 Apple is the world's largest company and they reported a new record for the fiscal fourth quarter of 2018. Earnings came in ahead of analyst estimates at $2.91 per share. Revenues were $62.9 billion in the quarter, also ahead of the Street's estimates. iPhone unit sales is where the company's results faltered in the eyes of the investment community. Apple reported that they sold 46.89 million iPhones versus Wall Street consensus expectations of 47.5 million units sold. To make this even more confusing, iPhone average selling price (ASP) came in at $793 which was over $40 higher than estimates. This new murky sales picture for Apple's largest revenue segment lead CFO Luca Maestri to announce a new change to the company's reporting policy. Apple will no longer report unit sales of iPhones, Macs, and iPads in future quarter earnings releases. "As demonstrated by our financial performance in recent years, the number of units sold in any 90-day period is not necessarily representative of the underlying strength of our business," CFO Luca Maestri said on Apple's quarterly conference call. "Furthermore, a unit of sale is less relevant for us today than it was in the past, given the breadth of our portfolio, and the wider sales price disbursion within any given product line." 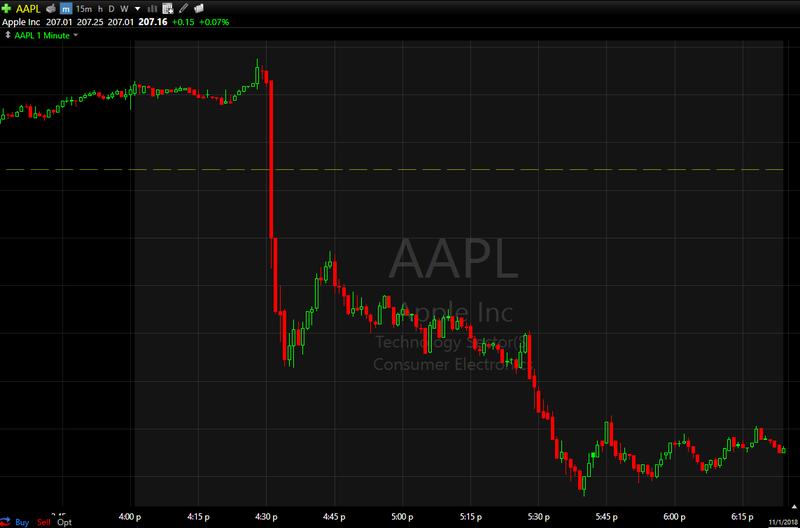 Apple's stock (AAPL) took another leg lower in after-hours trading on this shift in reporting policy. Some talking heads will say that this is because Apple's growth is slowing, but it seems that the company doesn't think unit sales are the best way to look at financial results. Apple is shifting investors focus to revenue, margins, and growth of sales. This comes at a time when revenue segments like Services have overtaken Mac and iPad segments in sales. Clearly, Apple's massive growth days are behind it, but the company continues to innovate across its products. Brand new iPad Pros and MacBook Airs were introduced just this week and they are even bringing back the Mac Mini. AAPL took a big leg lower after CFO Luca Maestri's announcement. Apple is trading lower in after-hours and could potentially drop below the much-heralded trillion dollar valuation. The company's $89-93 billion revenue guidance for next quarter had initially rattled Wall Street and this announcement of no longer reporting unit sales added fuel to this selloff's fire. Apple is still rated "Buy" on Game Trader, which means some Shackers may want to look to scoop up some shares on the cheap while they can. Apple is still growing revenues and remains wildly profitable. It also helps that they are sitting on over $200 billion of cash that they put to work in the form of dividends and share buybacks. It's not the same Apple Inc. as it was ten years ago, and today's changes are a strong indication of where the company feels investors should pay attention when trying to assess its overall value.